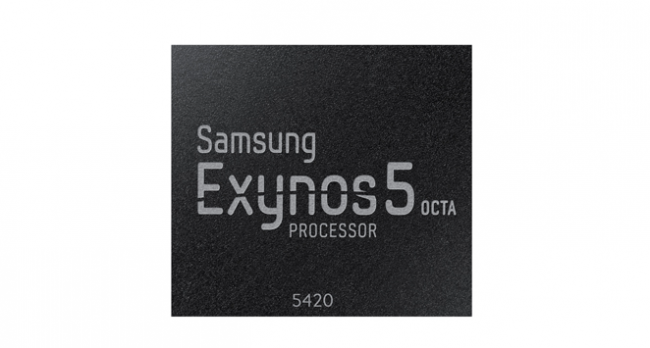 Samsung made their new Exynos 5 Octa mobile processor official last night as the 5420. The new chipset is still an eight-core ARM Cortex-based processor, though this time they swapped out the PowerVR SGX 544MP3 GPU for an ARM-based Mali-T628, which Samsung claims produces “two times greater” graphics performance over the previous Octa (5410). So in terms of it being “Octa,” we’re still looking at four Cortex A15 cores and another four Cortex A7 cores, which ARM refers to as big.LITTLE. The A15s are clocked at 1.8GHz for the heavy lifting, while the A7s are clocked at 1.3GHz. The CPU performance has been improved by some 20% in this new chipset. The new Exynos 5 Octa is currently sampling and will be ready for mass production in August. Galaxy Note 3, anyone? SEOUL, South Korea, Jul 22, 2013 (BUSINESS WIRE) — Samsung Electronics Co., Ltd., a world leader in advanced semiconductor solutions, today introduced the latest addition to the Exynos product family with top level of graphic performance driven by a six-core ARM(R) Mali(TM)-T628 GPU processor for the first time in the industry. With mobile use case scenarios becoming increasingly complex, Samsung’s newest eight-core ARM Cortex(TM)-based application processor gives designers a powerful, energy efficient tool to build multifaceted user interface capabilities directly into the system architecture. Samsung will demonstrate the new Exynos 5 family at SIGGRAPH 2013 in the ARM booth, #357; Exhibit Hall C at the Anaheim Convention Center. 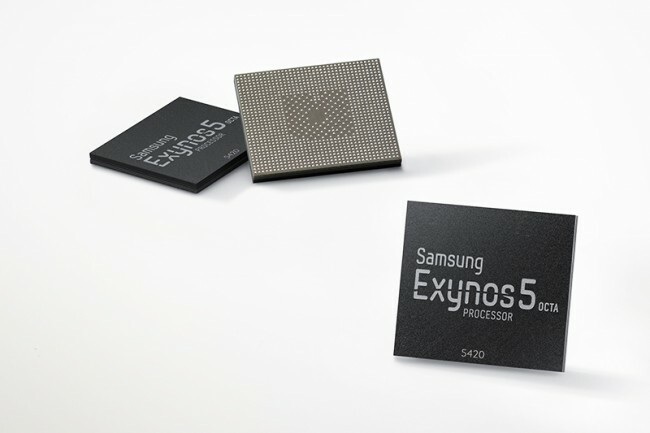 Samsung’s new Exynos 5 Octa (product code:Exynos 5420), based on ARM Mali(TM)-T628 MP6 cores, boosts 3D graphic processing capabilities that are over two times greater than the Exynos 5 Octa predecessor. The newest member of the Exynos family is able to perform General-Purpose computing on Graphics Processing Units (GPGPU) accelerating complex and computationally intensive algorithms or operations, traditionally processed by the CPU. This product also supports OpenGL(R) ES 3.0 and Full Profile Open CL 1.1, which enables the horsepower needed in multi-layer rendering of high-end, complex gaming scenarios, post-processing and sharing of photos and video, as well as general high-function multi-tasking operations. The newest Exynos processor is powered by four ARM Cortex(R)-A15(TM) processors at 1.8GHz with four additional Cortex-A7(TM)cores at 1.3 GHz in a big.LITTLE processing implementation. This improves the CPU processing capability by 20 percent over the predecessor by optimizing the power-saving design. In addition, the multiple image compression (MIC) IP block inside this System-on-Chip successfully lowers the total system power when bringing pictures or multimedia from memory to display panel. This feature results in maximizing the usage hours of mobile devices with a high-resolution display such as WQXGA (2500×1600), in particular when browsing the web or doing multimedia application requiring the frequent screen refresh. The new family of Exynos 5 Octa is currently sampling to customers and is scheduled for mass-production in August.